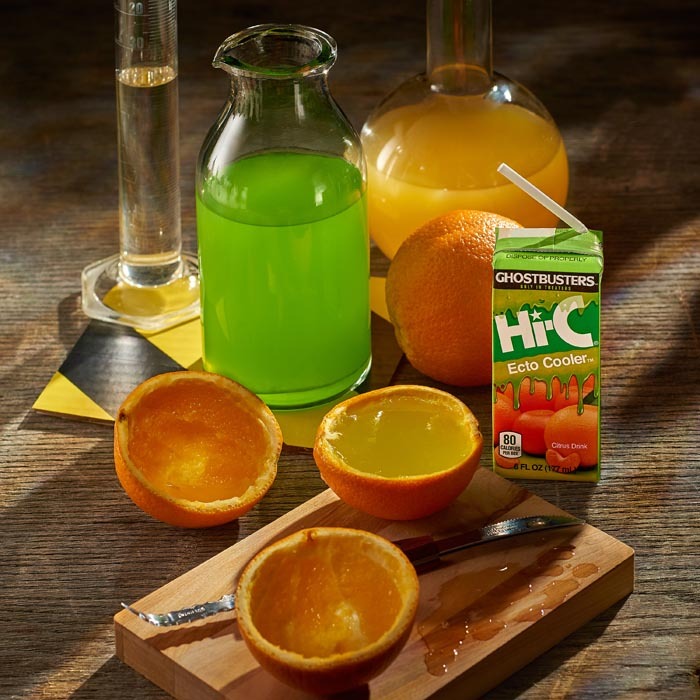 2016 has been a year for throwback drinks, the most anticipated being Hi-C Ecto Cooler that hit shelves this summer prior to the new Ghostbusters: Answer The Call movie. That first taste test with my kids was a great experience and I will truly be grateful for it years from now. 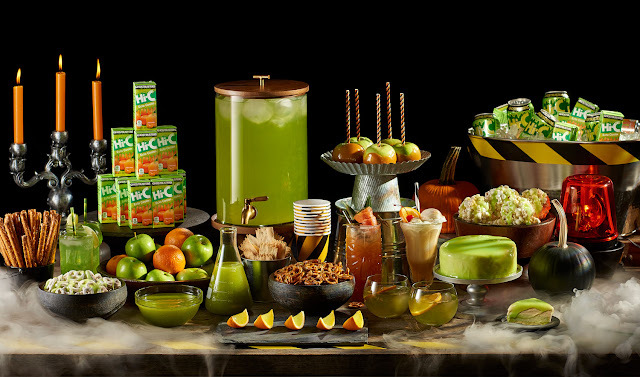 Slimy Ecto Oranges - I thought the presentation was a really great idea using hollowed-out orange peels to serve the congealed treat! 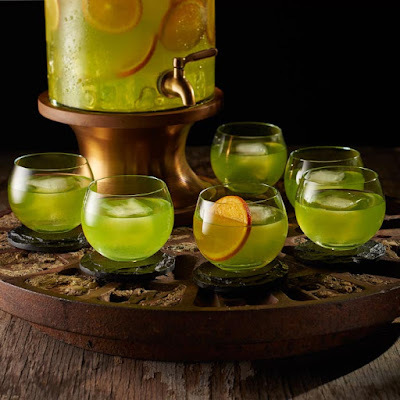 Of course, you can add rum to serve as a new spin on jello shooters but these can also be a great treat for kids if you leave out the alcohol. Leave as halves or slice into thirds. 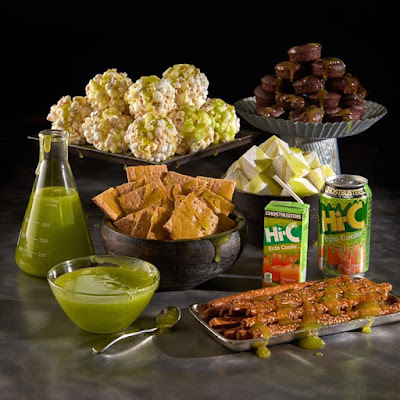 Ecto Ooze - Now this a fantastic idea, edible slime!! Dip it, spread it, or just pour it over everything to make it look like Slimer himself invaded your party. You may, however, want to taste test your slime to see what snacks work best with your fruity topping. 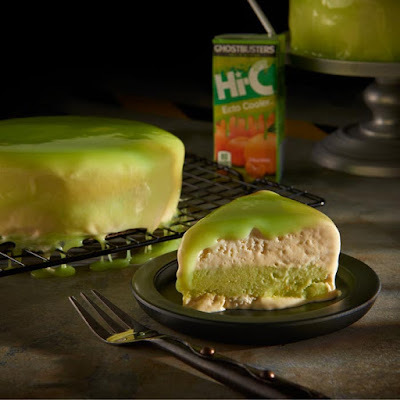 Ecto Slime I Scream Cake - If you are more of a dessert person, "I Scream" cake might be perfect for your haunted dinner party. Ice cream cake never sounded so good with an Ecto Cooler center and a gooey slime coating on top. Proton Packed Punch - Every party has to have punch, right? Mix Ecto Cooler with your favorite ginger ale and an orange slice to cool off your trick-or-treaters. Add a little gin or vodka to cool off your adult partygoers. Visit Recipes.Ecto.Cool now to get the complete ingredient list and steps to prepare each Hi-C Ecto Cooler recipe listed above and more!